I asked on twitter a while ago is anyone wanted a post about my first year at university and people seemed keen, I thought I would also combine it with my advice on how to pick the right university for you as I feel like I've learnt a lot along the way and while I've been at university. Obviously my experience of first year is going to be quite specific to the course I'm doing so if you're doing a Degree in Medicine or English Literature, my experience will be very different to the one you will have. Firstly I'll explain the degree I chose and the university I chose. I study Media Production at the University of Winchester, I've always been interested in Media and have always been a creative person however I've never been very good at drawing or art so I had to find other outlets for my creativity and for me, that's exactly what Media was. I took it as a GCSE option at school and then took it as an A Level at College, it was the subject I was best at at school and college so it seemed like a good route to take. When applying for university I also liked the thought of studying Makeup and Prosthetics so as well as Media Courses, I also applied for two makeup courses (which I didn't actually get in to) at the London College of Fashion and The Arts University College Bournemouth. For the Media Courses I applied for Bournemouth, Winchester and Bath Spa. Now, I do feel like my choice of university was perhaps not something I thought through properly, when I applied, my niece was a few months old and the thought of not seeing her for months on end really worried me and this was one of the reasons I chose not to go away for university. In hindsight I wish I had thought more about myself and what I wanted to get out of university and what the best option was for me. So I quickly decided that I wanted to go to the University of Winchester, which is my hometown. A few people said things whenever I mentioned this, almost judging me for not moving away, I think so long as it's the right decision for you, do it. So for my first year I stayed at home which is great as I am lucky enough to have food cooked for me, a nice room and a nice house to live it but in some ways I began to regret the fact that I hadn't explored a new city and challenged myself to living by myself, I think it would have been good for my confidence to move away and have to deal with things that I don't necessarily deal with when I live at home. The fact I live at home also meant commuting to university, this is fine, apart from the fact that finding a car parking space in a uni of thousands of students and hardly any parking spaces in the car park is practically impossible and getting to university at 10.45 for a 12.00 lecture in the hope of getting a space. Onto the course, as I said, if you study an essay based course this probably won't apply to you. I study Media Production, a very practical course. Over the first year I wrote four essays, two of which were more evaluations of my work with only one being theory based. The rest of my work was practical, I made six short films, two documentaries, one radio drama, one photo journal, two websites and produced three live news programmes. The amount of work we had to do was more than I've ever had to do, I have friends on Facebook who constantly post status's about how they would never go back to college because of the amount of work they had. Personally college was fine for me and I would go back in a heartbeat, on my course we are treated as we would be in the industry which is good as we are used to tough guidelines and deadlines but again, very hard work. The course is made up of about 80% group work, this is great if you get on with groups and can organise them well, for me, it was awful. I hate relying on other people, knowing that they can let you down, I much prefer working on my own knowing that if I mess up, it's my fault. Group work means you will probably have to work with lazy people who think they can do nothing and take other peoples credit, which I experienced quite a few times! I did have a "wobble" around January/February time, if you follow me on Twitter you will probably know this as I tweeted about it quite a lot. I decided that I wanted to leave and felt really unhappy at university, it was so much work and I was just really struggling. Over the next few months I made more friends which helped so much, I do think living at home meant that I wasn't meeting that many people as I didn't live on campus or have flatmates. This made the whole experience so much better and it just generally made me feel less unhappy, I now can't wait to go back in September! Don't pick a university that you haven't looked around, you can get to a university and instantly get a good or bad vibe from it, which is exactly what happened to me! The campus could just not be for you or the area could be somewhere that you just couldn't see yourself living. It's best to take a day to look round, rather than get there and hate where you live. If it's a university you are considering applying to, perhaps look round again, I visited a university when I was having "lady issues" and was feeling rubbish and in such a bad mood, this really effected what I thought of the university and I came out saying I hated it. If I had gone back on another day, in a better mood, it could have been much better! Don't think "I love London, I'm going there." Yes you have to live there but you also have to live in halls, have lectures and meet people. The course could not be right and the modules could be different to other universities so don't assume that just because universities have courses with the same name that they are all going to be exactly the same. At the same time, do make sure that you like the city you're living in as it is important but make sure you consider all aspects on the university experience. I feel like this is such a key one, your boyfriend is planning on going to Edinburgh and you want to go to Cardiff but you can't stand to be apart. Don't pick a university based on a boyfriend or friends, just think of yourself and where is best for you, you never know how long your relationship is going to last, it would be awful to split up and be in a city and university you don't like. Remember that you're going to be living in halls for a year, you need to make sure it's somewhere you will feel comfortable. Some university halls are on campus, like at my university but most of the ones I looked at were further away and required a walk or bus ride so consider that when you're looking around. Getting the views of students actually taking the course is important, there are Facebook groups around and lots of forums where people discuss the university and courses. When you look round a university, of course they are going to say "this course is great!" So looking at forums gives you a real insight into the positives and negatives of the course. If you aren't sure whether university is for you, there is the opportunity to take a year out. I would say, don't go to university just because you think you should, or because all your friends are. It's a ridiculous amount of debt to get into and I personally don't think university is suited to everyone. Do you guys have any other advice for picking a university? 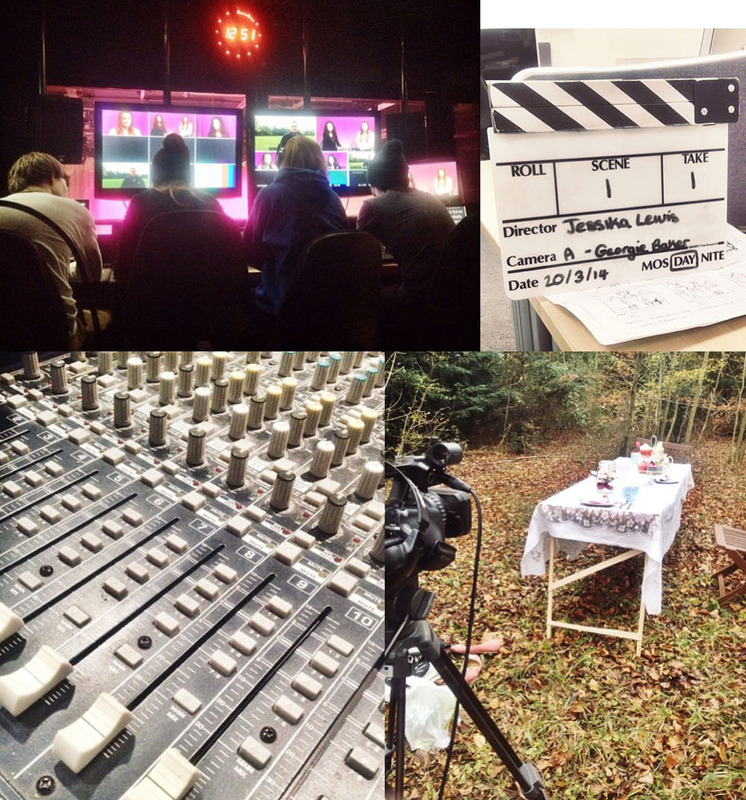 I studied Television and Video Production at Southampton Solent and graduated last year! A television production course is so much fun!